To watch this tutorial, click here. If you've been following me on the 'Tube for awhile, you know a few products from Qhemet Biologics stay in my rotation no matter what the weather is! Now that is warmer up outside, I've pulled the Aethiopika Hydrate and Twist Butter out of my arsenal and used it for a few twist outs I've rocked a few weeks back. Why you might ask? Because its probably one of the best butters out there. No5 only is it moisturizing, but the definition it gives my twists and braids is insane! I also love the Moringa Tree Conditioning Ghee. It definitely sits high on the list of my all time staple leave ins. It has more than one way to use it, but I prefer to use it as my leave-in conditioner. If you still are slacking on copping you some products from Qhemet Biologics, then you are luck-ay because Qhemet blessed me with an opportunity to bless you with a full size bottle of the Moringa Tree Conditioning Ghee and the Aethiopika Hydrate and Twist Butter! This combo is perfect for summer. You'll never have to worry about dry thirsty hair, eva! TRUST! To enter this giveaway simply let me know which hairstyling tutorial I created using Qhemet Biologics made you want to try their products. This giveaway will end Friday, June 21st. Good luck! Well since I'm paused with your Twisted Updos Return!-Protective Style Tutorial, I will have to say this one did! LOL...would love to try their products! Yayyyyy I'm excited about this giveaway!! I loved all your tutorials using this brand but my all time favorite will be the 2nd tutorial you have pictured above. I will never forget how beautiful your curls came out!!! That braid out style! Lawd Jesus!! Girl! I'm desperate for definition like this! The style card is my favorite tutorial style. If only I could have curls like those. But your hair in the review you did of these products was great as well. You still had great definition on day 3 and the fullness was amazing! I like the two strand twists!!!! Your recent updo tutorial inspired me! I don't think I have ever completed small enough two stranded twist to complete an updo. I think the products will be perfect to hydrate my dry hair in this Midwest heat and rock a new summer ready style! Your braid out video made me want to try their products. Loved how defined it looked! I love the results you got with the flat twist tutorial. Great definition and shine. I love the Holiday Curls Tutorial!! I wanted to buy Qhemet Biologics products after the tutorial but I couldn't convince myself to buy them online. Although all of the hair styles you created using the Qhemet Biologics products are gorgeous. I really love the Holiday Curls Style Tutorial you did using their products. I curls were just gorgeous. The twistout you did a year ago using the same two products, the definition was sick and volume was amazing!! I absolutely LOVE both the flat-twist/twist-out tutorials! I have always wanted big, defined curls without it looking all messed up and/or reverting! I love, love your Holiday Curls Style... After seeing those beautiful curls I have been wanting to try these products!!!! Your hair is always on point!!! I definitely wanted to try these products because of the flat twist and braid out tutorial. This is where I learned the basics of flat twisting from and those products made your hair look AMAZING!!! Thanks!!! That flat twist/braid out tutorial is sick!! I love the definition that your curls have! I loved the Holiday Curls Style tutorial. Your holiday curls was everything, the bounce and shine that you had, girl!!! Flat twist tutorial. I saw this style when I cut my locs and was looking for a good moisturizer. I loved your twist out video!!! Since I LOVE all your tutorials it is hard to choose just one. 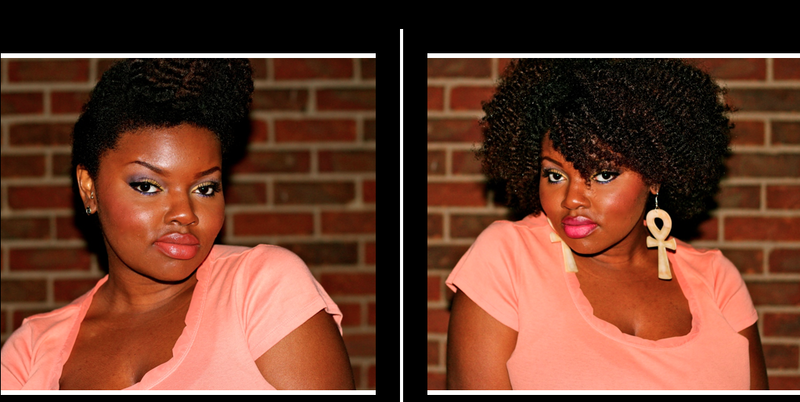 The one that made me try Qhemet products is the flat twist + braid out style tutorial. Hi CharyJay :) I really loved your holiday curls style using these products. Your hair turned out AMAZING with shine, body, and sick curl definition and hold. What impressed me the most was how your hair looked in the subsequent videos and how the style kept up so well even though you fell asleep on the couch every night lol! I loved the holiday curls. it was bomb! I like the twist outs because my twist usually end up frizzy after the first day. I would love for my twist to be that defined and moisturized. You first introduced me to Qhemet Biologics products with your fantastic flat twist + braid out tutorial. I've always loved how you flat twist and I actually learned how to kinda flat twist after watching this tutorial. Girl, the definition and the SHINE on this look was amazing. I promised myself that I'd buy some of these products when my funds permit it. I would love to do a curl set. I need to work on my roller setting and perm rod skills. Your twist outs are to die for but the holiday curls vid was so impressive that I wanted to try these products. Your hair looked like it was a different texture. Please pick me to win. I love all your styles lol. I watch your videos, and I look for them everyday to see if you posted your video. Your hairstyles are so unique and AMAZING. I love your holiday style video, but I also love when you do flat twist on your hair. I am going thru some hair trouble right now, can really afford hair products, so this would really help me out. I have been using pure shea butter mix with oils, but I really want to try something new. You have help me threw my hair journey, and I see that you lost weight, and I proud to say that I lost 20 pounds, and I start juicing on monday, so I really need someting to keep my hair healthy. thank you again. Holiday curls. I want that hair! I really liked the flat twist/braid out video. Your hair had mad definition. I even tried to replicate the style on my hair. It was a total bust!! Maybe a combo of technique and product. Oh well...keep up the awesome tutorials...I look forward to trying to duplicate your styles!! Holiday curls. Your hair stayed in place and looked very moisturized. Holiday Curls! Thanks for your videos. Shout out to MI!! The flat twist tutorial + braid out style is giving me life! Your vids and styles are always on point!! Flat Twist Tutorial + Braid Out Style is my favorite! I LOVE ♥ LOVE ♥ LOVE ♥ the Flat Twist Tutorial + Braid Out Style. That's easy. The tutorial that made me want to try the Qhemet line was your fab Holiday Curls Style Tutorial! I would love to get the definition you had in the flat twist/braid out tutorial! 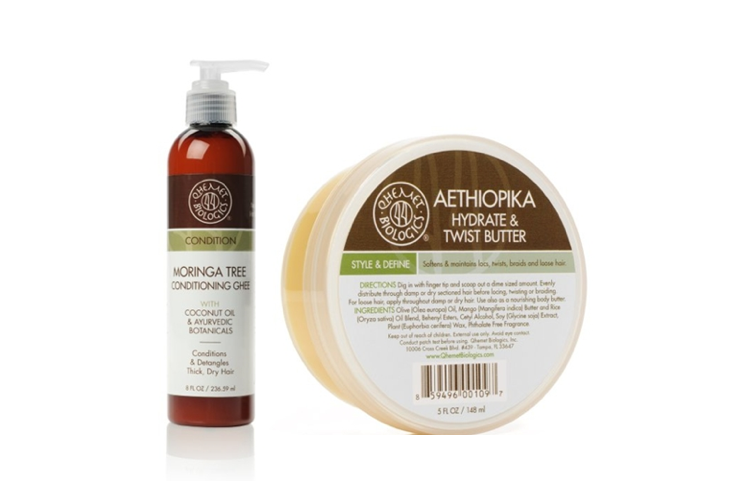 I'm liking the twist-out from your Qhemet Biologics Aethiopika Hydrate & Twist Butter & Moringa Tree Conditioning Ghee Review. I love the twisted updo tutorial! Been wanting to try this product for awhile. thank you for hosting this giveaway! I love the holiday curls style. It is very pretty. This hair style inspired me to do for a up coming wedding .I love to try this product to help me getting this "vava vou" or divas look for this special occasion. I agree with her^^^^gotta be the Holiday Curls! Yessss!! All your videos are great, but hands down my favorite tutorial is you using the Qhemet Biologics products in the "Qhemet Biologics Aethiopika Hydrate & Twist Butter & Moringa Tree Conditioning Review". Your hair had BODY, BOUNCE, BEAUTY and it was SHINY, SILKY, STUNNING. I want to have the same look of confidence on my face as you did after styling my hair with these products. My favorite would be the flat twits on the side, with the loose twist out. Gorgeous, shiny hair is a must, and those products definitely helped you achieve that! The flat twist + braidout style is just lovely, I also liked the tutorial of the Qhemet Biologics Aethiopika Hydrate & Twist Butter. I really liked the holiday curls. Every style you've done its on my list if I haven't done it I'm going to try and create it. I've always enjoyed your tutorials the one I loved with the qhemet products was definitely your holiday curls. its on my list to try next because the curls came out so pretty, shiny and bouncy. Crossing my fingers mine come out just as good. The Holiday Curls tutorial! Mine have NEVA EVA come out this great! I am IN LOVE with the Flat Twists and Braid Out style. It was so beautiful on you. I love how your hair was shiny. Definitely a "To try out" style. Holiday curls!!!! Your tutorials always inspire me. Thanks!! Holiday Curls! your hair looks defined and so soft. The Holiday Curls Style. Very, very cute! Th twisted updo return vlog. Your twists were very neat amd moisturizer. The Holiday Curls Style!It was gorgeous! I love the Holiday Curls style and the Twisted Updo. I love the curl definition and hair body. I am looking forward to trying these prosucts in my hair. Love, love, love all of your twist out videos. I wish mine would come out so nice and moisturized and stay that way. Sorry, but I love both styles. The flat twist/ braid out and the holiday curl each had it's own distinctive features. Darn it! I love all your videos. Gurllll, you be "SERVE'N" that hair & makeup. I really love the holiday curls style tutorial! The curls look super bouncy and light weight. I am torn between the holiday curls and the flat twist + braid out tutorial. Both styles were super shiny and the hair looked very soft and the movement was great. I've been wanting to try Qhemet Biologics since the first twist out video that I saw about a year ago. I like the flat twist + braid out tutorial because that one I would most likely try first and its a simple quick hairstyle plus the tutorial was a bonus. 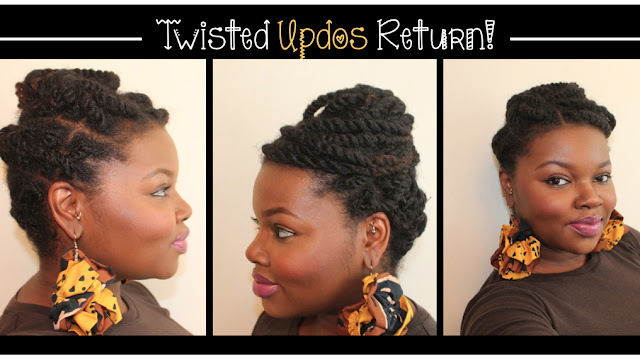 The style that makes me want to try the Qhemet products is the flat twist out tutorial. I love the definition in your hair and the shine is amazing. By the way I love your you tube channel. The twist out that you did in the "Qhemet Biologics Aethiopika Hydrate & Twist Butter & Moringa Tree Conditioning Ghee Review" video, as well as the updo in the "Textured Pin Up *REQUESTED*" video. I love them all but the flat twist + braid out is my ultimate fave! loved loved loved the holiday curls were the bomb dot com. I love the holiday curls tutorial the best. I loved how you were able to achieve 2nd and 3rd day hair only by fluffing out your curls the next day....especially not having to do as any prepping at night :-) Big plus! I'll love to try the 2-strand twists/flat twist hair styles. I would say the last post. My friend has been telling me about the products and they worked really well on her hair. I will be doing more protective styles this summer and I would like to give these products a try. I absolutely love the Holiday Curls. The style was gorgeous and had volume for days. Thanks for the tutorials its greatly appreciated. I hope to have definition and volume like that one day. practice makes perfect. Hi Charyjay! I was first impressed with Qhemet Biologics when you reviewed the Cocoa Tree Detangling Ghee on YouTube ("Qhemet Biologics Cocoa Tree Detangling Ghee Review/Demo"). Ever since, every product you've used gives you great results. The braid out style definitely! All of them because all of the styles came out sooooooo nice and soft. But the Holiday curls the most. The flat twist/braid out style. I love your flat twists braid out. I sooooo need to learn how to flat twist! The vid that made me know I HAD to try Qhemet products was the flat twist/braid out style hands down! The shine and definition was tha bomb. I've tried the sample sizes and was impressed with the hold especially in the humid weather we have here in Texas. Can't wait to snag some full sizes! Every tutorial you have done makes me want all of your products, but my super duper favorite is flat twist out/braid out. I've been trying to master the flat twist but maybe I don't have the right products to make them look as lush and shiny as yours...yet? I've been wanting to try Qhemet Biologics since your first review published 4/19/12! Since I have to choose from the style tutorials above, I would have to say the first tutorial, Up or Down had me sold! you had me with those bangin' holiday curls! Qhemet Biologics Aethiopika Hydrate & Twist Butter & Moringa Tree Conditioning Ghee Review is the one that made me want to buy the whole darn line!! LOL LOVEd LOVED LOVED it!! I've been wanting to try these products since I watched your Quemet Biologics review about a month ago!! I love all these tutorials, but since I have to choose, I choose the flat twist/braid out hairdo! That style look so cute on you! It's different and its a style I can see myself rockin! Plus, there products give you so much definition shine! It looks so moisturized. How does it feel though?? I'm sure it feels extra soft by the way you can't keep your hands off these products. I have a twa and I battle with dryness. I can't keep my hair moisturized for more than an hour! I'm using Shea Moistures products and my own mix of Shea butter and oils. It's not working out very well. My hair is dry and has no shine. Quemet Biologics is going to be the next product I get my hands on from either winning this contest or buying it! I just hope it's a winner for my hair!! Awesome giveaway! The Holiday Curls vid gave me so much life that once washday came for me I attempted to recreate the style. Although it didn't come out as great and shiny as yours I did end up with some pretty good results of a fluffy curly fro. Not the look I was going for but I rocked the heck out of it! Well to tell you the truth i've always wanted to try Qhemet biologics but I absolutely love the holiday curls hairstyle!!! I have always loved alllll of your twist outs and styles with your twists. Looooovvvvveeeee your hair girl! Your hair looked great in all of the tutorials, but my absolute favorite was the "Twisted Styles Return" because it's something simple I can do to jazz up my hair for work! The 1st one that made me want to try the Qhemet Biologics was your Summer Protective Styles video! But ALL of your styles and tutorials are ridiculously fierce! One day I'll have the talent to have my natural hair be this cute! The flat twist out editorial you did last summer had me ready to purchase! The Aethiopika Hydrate and twist butter is my staple. I loved the flat-twist, braid-out tutorial. I actually got my flat-twist skills up watching. Anywho, it introduced me to Qhemet Biologics products. I especially love the twist butter. I love the Holiday curls style tutorial...that made me want to try the Qhemet Biologics! The tutorial that made me want to try Qhemet Biologics was the Flat Twist Tutorial + Braid Out Style using the Aethiopika Hydrate and Twist Butter and the Honeybush Tea Soft Gel. After watching I wanted to not only try these products but experiment with my hair more!!! I would love to try these products. Holiday Curls is my fav. I love the twist out that you did last summer. Your hair looked really soft and the curls were so defined. All of the styles are nice, but in the last one your hair looks soooooo shiny. Therefore I'd have to say it's my favorite. I'm trying to find a solution to make my ashy hair looks moisturized. I love all three of those tutorials but there's one you didn't put up that I really loved: Textured Pin Up *REQUESTED* In this tutorial, you didn't use these Qhemet products in particular, but I loved the style. It reminds me of the styles I used to do when my hair was shorter. I haven't done updos in a long while. I have obsession with out styles lately lol. I love the Holiday Curls Style. So pretty and elegant! Holiday Curls Style Tutorial!!! I haven't done a curl style yet I would really like to try it someday!!!! It was such a close call trying to determine which style inspired me to want to try this product and not let any outside influences get in the way. Such as your accessories, your make-up, and how cute the styles were. So with all that aside.... drum roll please... the winner is last summers twist out. I just absolutely adore this style, I have had so many failed attempts and am really looking for a product that works on my hair. I would love to be the winner of this giveaway so that I can test this product out and get results like yours. BTW: The runner up was Holiday curls..:) thanks! I would try the flat twist / braid out style with these products for sure!! I love side style hair do's on me and yours was popping! I already tried that style and would do it again with the products! I want to try holiday curls! Your hair is always tight! I really loved how your hair came out using the products from Qhemet Biologics in your video "Holiday Curls Style Tutorial." Love, love, loved Holiday Curls! I hope I win! Your holiday curls tutorial had your curls looking beautiful. Well this is hard one....I love,love,love ALL of the hair styles!!!!! But if I were to win the two staple products I would try the flat twist/braid out this is the business!!!! Your hair is on point with definition and shine I love watching your tutorial's!!!!! Keeping doing your thang girlie!!!!! Love all your tutorials but the second one with the curls is the business. Hopefully I win this giveaway so I can try it out myself. I love your flat twist and braid out tutorial. If I was to win these products, I would do more twist outs and flat twists. The holiday curls definitely got me interested and I loved your lastest up-do video. Last summer, fall and winter I watched the flat twist tutorial + braid out video over and over again because I was in love with the style and the definition you got from the products. You have made me want to try this product line (it's on my wish list of product to try) due to the amount of natural ingredients and the amazing results you consistently get when you use them. Hands down the holiday curl tutorial. Your hair came out so smooth and pretty! I have tried this style so many times and have never had results like that! Definitely the Holiday Curls Style Tutorial!! The flat twist out is the one I like the best! Holiday curls made me envy their products! The Holiday Curls Style stopped me in my tracks. Reminded me of Shirley Temple Curls I suffered through in a salon with a press and curl as a child. I hope I win. I really would love to try these products. For me it was the two strand twistout you did! My twistouts are mostly "meh", but your twistout was banging! I'm literally about to start my natural hair journey and I just can't get enough of your flat twist tutorial + braid out style video. Honestly, having watched your videos quite a view times has made me fall in love with not only your hairstyles, but also the products that you use. Lastly, I just want to let you know that you've made me want to embrace my natural hair and ultimately wear fun a trendy hair styles p.s. I love your wardrobe too. I really like your flat twist and braid out tutorial using Qhemet Biologics. All your styles have be so beautiful. It is hard to choose one. I would really like to try the flat twist using the Aethiopika Hydrate & Twist Butter. I really liked the style you did when you first reviewed this product, the cute twist out (that was on point)which you later made into an updo. I was sold then but never got around to trying the product. The "Holiday Curls" hairstyling tutorial that you did made me want to try Qhemet Biologics so bad! I like the video tutorial of the flat twist & rod set. I was impressed that you showed the viewers the "wrong" way of doing it and then the right way. As newbies, you don't always know how to do certain styles to get a certain look. You're very well spoken & easy to follow. Keep up the videos. I have forwarded your videos to other naturalistas! The holiday curls made me want to try these products. I really LOVED the flat twist and braid out style! It is beautiful!!! You used these products in your Twisted Updos Return Protective Hairstyling video, which I am going to try right about now. For me, it's a tie between the textured updo you did a while back (the twist out looked ridiculously defined and bouncy) and the fro-hawk you did in the Detangling Ghee demo-IT'S SO FLUFFY! I've been looking for a good detangler/leaving-in conditioner and a moisturizing twist butter with strong hold, and based on your tutorials, it seems these just might do the trick! The tutorial of yours that sold me on Qhemet Biologics was the Qhemet Biologics Cocoa Tree Detangling Ghee Review/Demo. Now, I'm a DIY Girl for the majority of my staple hair products, so when I saw this video I said let me see how it does on my 4a & b tightly coily hair since I love wearing my hair in a afro, afro with the sides pinned up or a afro mo-hawk but dread dealing with my hair getting tangled and knotted after wearing it out, but the Cocoa Tree Detangling Ghee, this stuff right here, this stuff right here, (in my Katt Williams voice) is the truth and will spend my last to get a bottle I just wish they sold it by the Gallon! I loved the twist out cause that is my go to style, but I also loved the flat twist out video because I am trying to learn how to flat twist. I just tried a sample of the Moringa Ghee and loved it. Would LOVE to win a full size bottle!!! GIRL! I am so serious when I say that with each QB tutorial I fall more in love with the products. I was also intrigued after watching your flat twist + braid out video. Your hair looked so defined and shiny that I just had to give Qhemet a go. The Holiday Curls tutorial. I've been wanting to try Qhemet's products for 2u years. There is a BSS nearby that sells the products but charge $4my more per product. I did purchase the AOHC yesterday and still want the CTDG and Aetheopika but couldn't get them as that would've busted my hair budget. Honestly what set it off for me was not a tutorial but the cocoa tree detangling ghee review/demo. I was absolutely blown away.After that I was all on their site & would love to try these two products. If I just have to pick a tutorial it would be the holiday curls... so beautiful. Enter me into the giveaway for Qhemet Biologics! I want a chance to win any and everything that will make my hair as gorgeous as yours! I'm in love with your holiday curl tutorial and how Qhemet Products make your curls look so vibrant and Beautiful and since I have yet to find a product that does that to my hair, I would love to try Qhemet in the hopes that I will love it the way you do. It was the twist in the front and bantu knot all over style you did. First of all you parted your hair with.ease. My hair never parts like that. I want to experience that. These products seem awesome, I would love to try them! The tutorial that made me want to try this produced is the one titled ' Flat Twist+ Braid out style i see it give super definition and hold and i love that in a produced. The braid out style had amazing definition. It made me want to cop all of the products!!! Holiday! Celebrate! Your holiday curls was the BEST! Just Lovely. I love love love the holiday curls. This giveaway couldn't have came at a better time because I just came back from the beach and my hair is extremely dry right now and I've been looking all over the Internet to see what I can do. I'm glad that you said it's very moisturizing because my hair is thirsty for moisture lol. Normally I don't co wash but I think I might have to in order to get some moisture back into my hair. I would love to try these product I've heard nothing but great reviews about them. My all time favorite style you created with the Qhemet biologics line was the Holiday Curls! I must've watched that vid a billion times!!! You looked so fab and so fierce! I was like Wow! The possibilities are endless with natural hair! I even showed it to some other ladies and they were surprised natural hair could curl like that. I would love the opportunity to win these products because the first thing I would try to do is recreate that style. Natural hair rocks! Love the possibilities of styling it :-). You're such an inspiration CharyJay! Holiday Curls style was very pretty. I loved your flat twist tutorial and braid out style. The definition was amazing and it definitely made me want to try out the Qhemet Biologics line. The twistout & the holiday curls tutorials made me wanna try their products. I just recently purchased a couple of samples from them but didn't get the moringa tree ghee. Would love to try that this summer!